This hearty filling salad is great for this time of year and can even be served warm. First mix the simple salad dressing to allow the flavours to blend. Next cook the quinoa. I always soak quinoa for a minimum of 30 minutes (up to 8 hours) before cooking, or up to 2 days rinsing at 8 hour intervals to sprout. Why soak quinoa? All grains, nuts and seeds have natural enzyme inhibitors which are removed or depleted by soaking, making the enzymes and nutrients more readily available during digestion. Soaking grains also removes some starch. So on that note soak the quinoa in fresh clean water for a few hours, then rinse and allow to simmer in twice it’s volume of water with the stock cube for 10-12 minutes until it has little tails. Drain off any excess water. 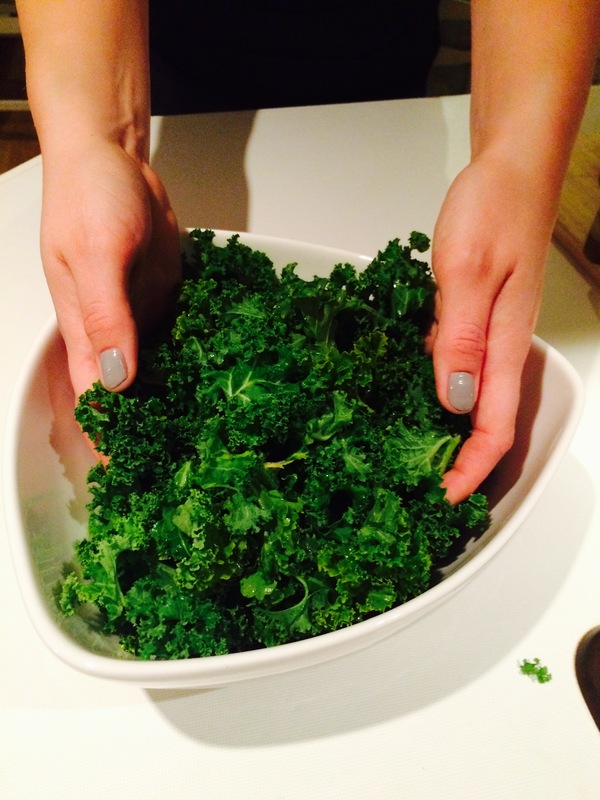 While the quinoa is cooking you can massage the kale. Yes, massage it! 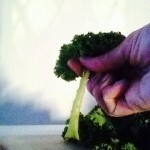 Massaging kale breaks down it’s tough structure making it more appetising and easier on the digestive system. Separate the leaves from the stalks. 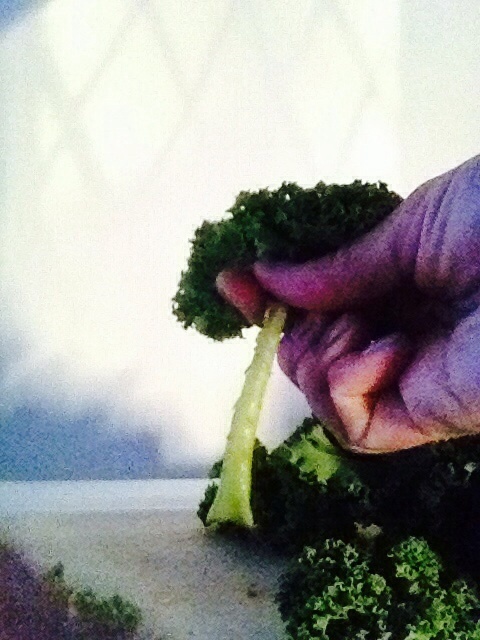 Holding the bottom of the stalk with one hand place the thumb and first finger of the other hand on each side of the stalk at the base of the leaf and slide upwards. 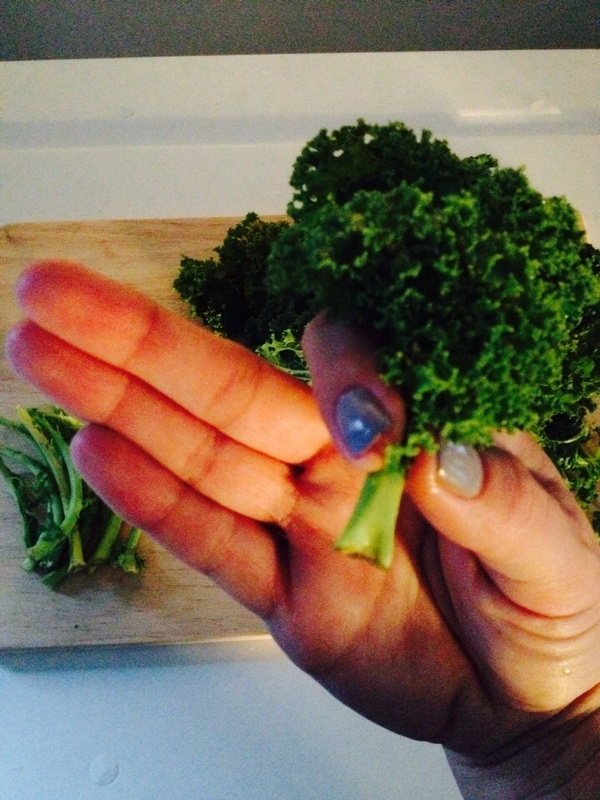 We will be using only the leaves for the salad but you can add the stalks to your green juice! 2. 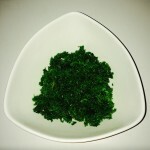 Wash and dry the kale leaves well and place them in a large bowl. 3. 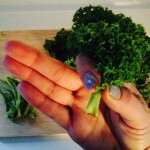 Add 2 tablespoons of simple salad dressing onto the kale leaves and with clean dry hands begin to massage the kale. 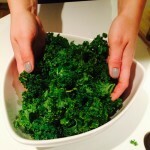 Knead the leaves towards each other into the centre of the bowl. Next slice the onion and pepper. Dice the avocado. 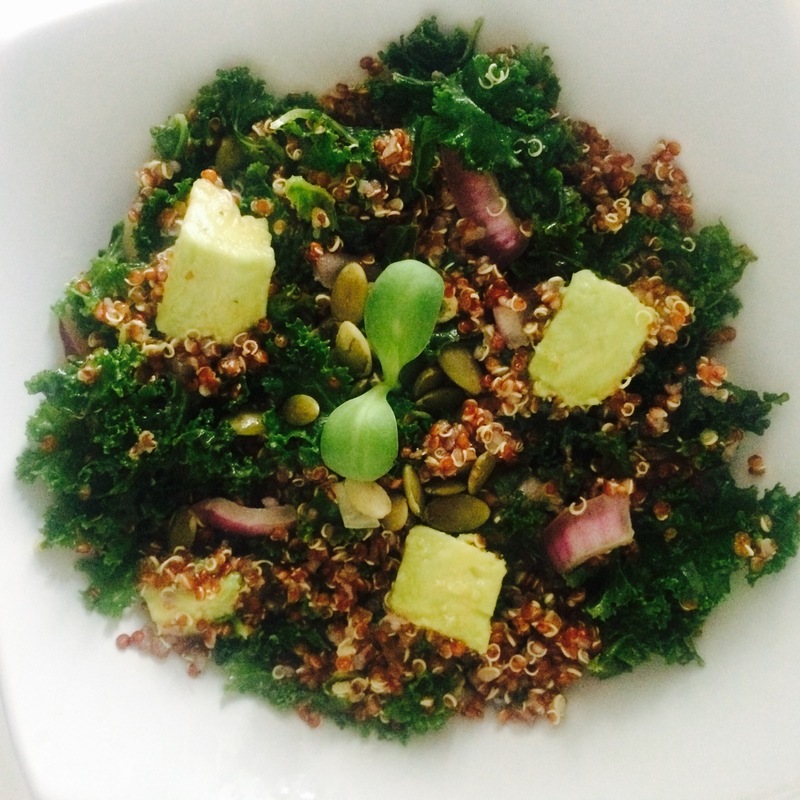 Add the quinoa, avocado, pepper and onion into the bowl of kale and toss well. Sprinkle with pumpkin seeds and sprouts and serve! 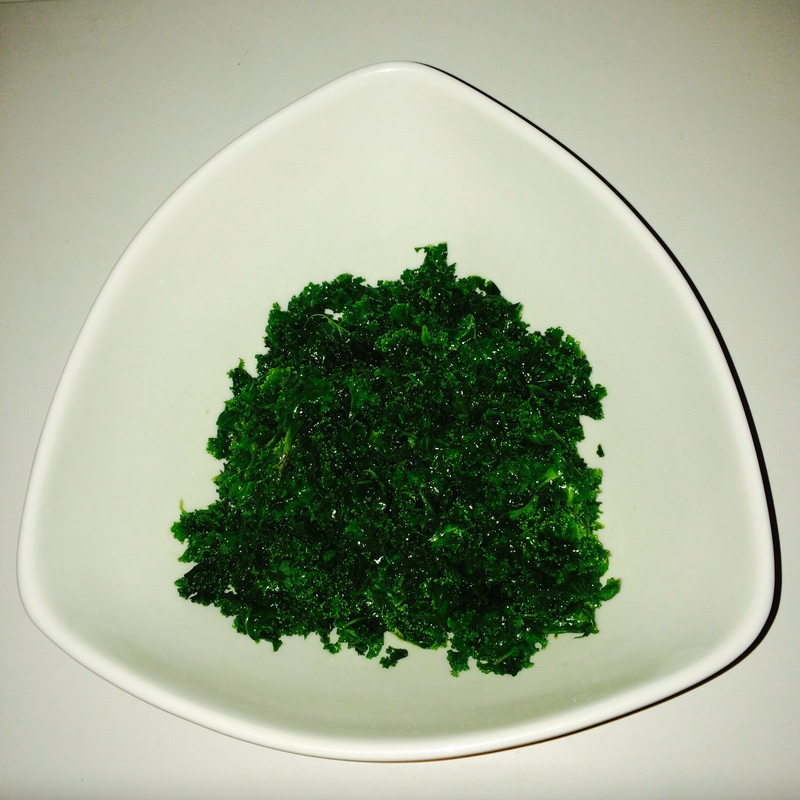 Time saving tip – the cooked quinoa and massaged kale will both last for about 2 days in the fridge so both of these can be prepped in advance. For example I’ll often double the amount of quinoa when making it for dinner and then use it in salads over the next couple of days.